Chyan Community Field visit Bosavern Community Farm. Our three adult kune kune pigs - Ebony the sow who had her litter here last summer, Butch the boar and her mate, and Barney his "barrow" companion - moved home to Chypraze Farm between Pendeen and Morvah last week. Ebony and Butch have already been put together in their new home, so she should be producing a new litter towards the end of summer. 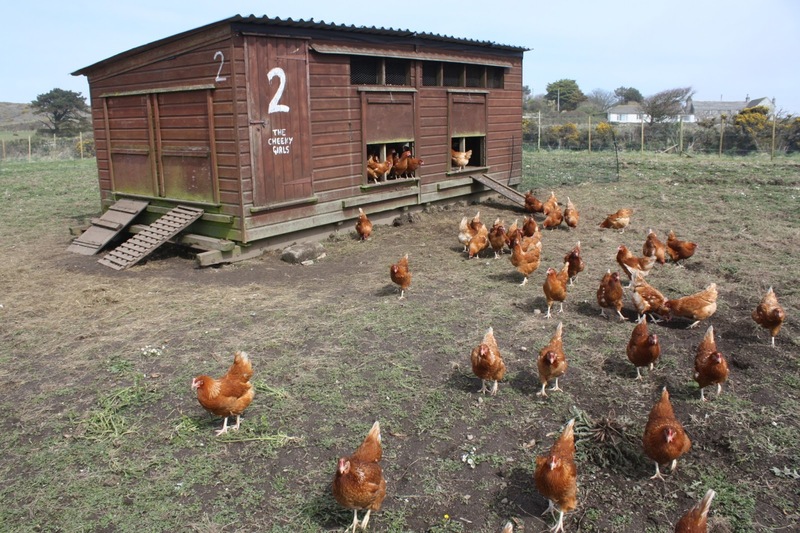 Chypraze produce pork sausages and cuts of meat, and sell their produce at St Just and Pendeen Farmers Markets, but the kune kunes will be breeding pets rather than meat pigs. The six weaners - Nikolai, George, and the Spice Girls - are still here at Bosavern, and are destined to be sausages within the next three months. A big thank you to Hendrik who left us yesterday to go to a cider farm in Devon. Hendrik lived and helped on the farm as a wwoofer for 3 weeks. Carlos and I especially missed watching the two Champions League semi-finals with him the past two nights! Published in The Cornishman, 18th April 2012, giving details about the veg box scheme to be (re) launched in the summer. Anybody wishing to go onto the waiting list for a veg box please email vegbox@bcents.org.uk, or phone Lynne on 01736 788454. Difficult decision in challenging times. 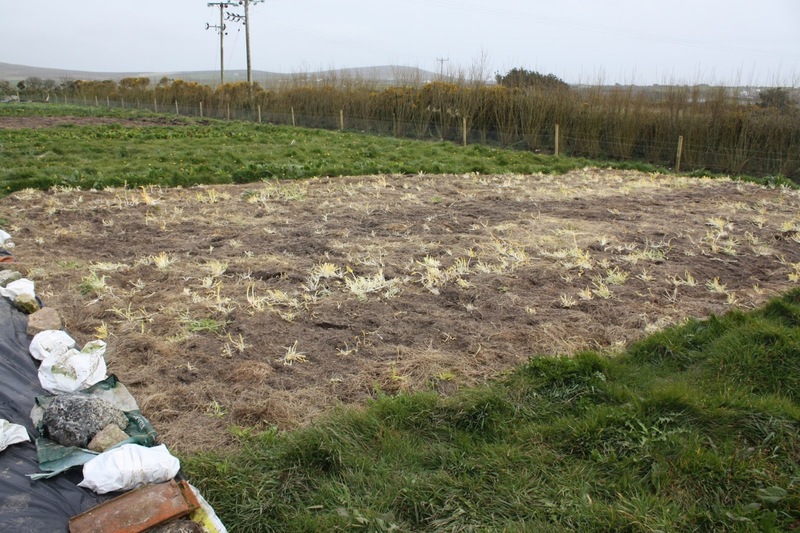 We have now entered the dreaded annual "hungry gap", between the end of winter crops and the start of summer ones, when many veg-box schemes take a short break to regroup and prepare for the season ahead. 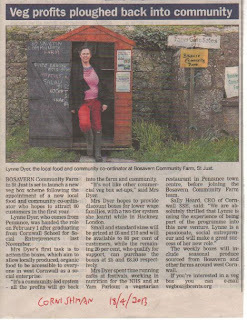 But, like last year, we are aiming to continue the Bosavern Community Farm veg-box scheme without a break, produce permitting. Last year was an awful growing year, a wet summer followed by a wetter winter, then a cold cold spring, so winter crops didn't get very big and ran out sooner than usual, and summer crops will be late too because the ground has been too cold to sow until the past few days. 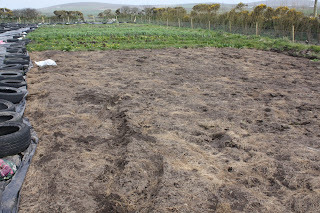 Last year we sowed our first peas mid-February, this year it will be towards the end of April! Our stored potatoes ran out last week, our stored onions in February, our cauliflowers two weeks ago, and our leeks have run out today. Everyone in this area seems to be in the same boat, with not enough veg to go around. We have been buying unsprayed vegetables from Gulval, near Penzance, to supplement our boxes through the winter, but these have run out this week too. The local produce we have been able to source are dried chillies (from Incredible Crops in Trezelah), salad leaves to boost our own (from Slight Hill in Heamoor), cabbages which have now run out (from the Real Ideas Organisation in Badgers Cross), and next week hopefully rhubarb (from Moorvue Rural Centre near Morvah). We are still producing our own jerusalem artichokes, salad leaves, various herbs, rainbow chard, spinach, green sprouting broccoli/calabrese, sorrel, physallis (Cape gooseberry), and eggs, but this is not enough to fill our boxes. We have therefore had to make a difficult decision, and after much debate by the farm team, we have ordered some produce from an organic wholesaler called Sunseed Organics, for next week's boxes and farmers market. Sunseed Organics are based in Bristol, but their depot is in Devon, and we will only be buying produce grown in Cornwall and Devon. This is pushing the boundaries of "local" somewhat, but our only other options were to close down our veg-box scheme until the summer, or to buy local veg grown "conventionally" and therefore sprayed, and we didn't want to do either of those. Next week we should have Devonian potatoes and carrots, and Cornish cauliflowers, all certified organic. If any of our veg-box customers do not agree with our decision, we understand completely, and if you want to cancel your box until our own crops come through in the summer, then please just let us know. 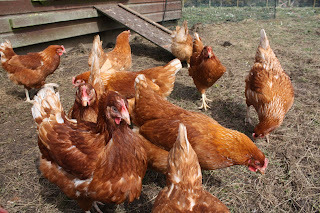 If you log on to the WWOOF website at www.wwoof.org.uk you will see five members of the Bosavern Community Farm team past and present, under the heading "get to the root of the matter". 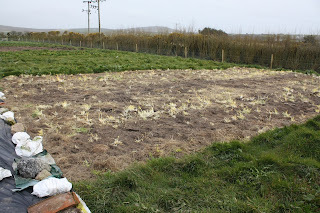 This was taken towards the end of last winter on the day we finished preparing the beds in our new polytunnel. Many thanks to WWOOF for acknowledging us, and for sending lots of excellent volunteers our way! 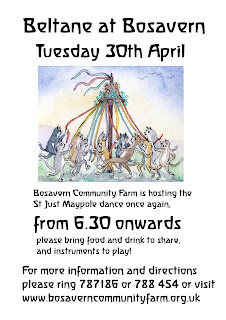 For the third year running, everybody is invited to the farm for our annual Beltane event, with dancing, food and music in the Standing Stone Field. 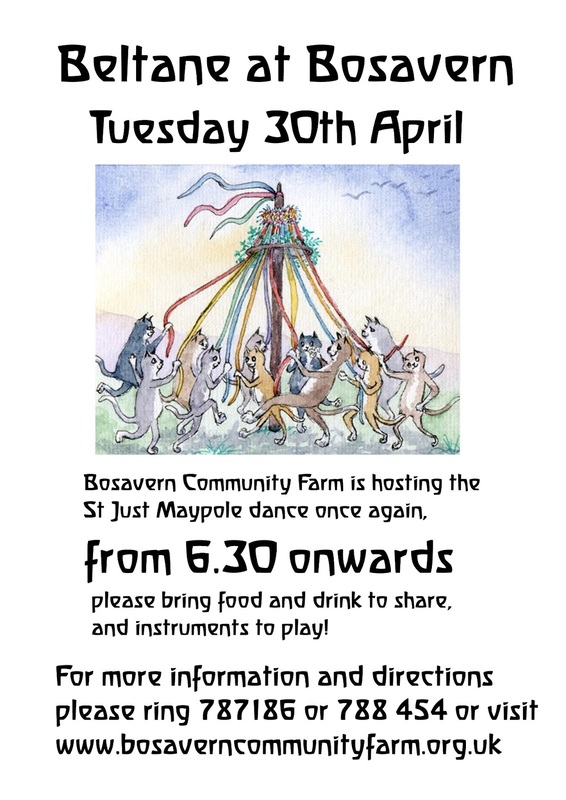 Tuesday 30th April, 6:30pm. 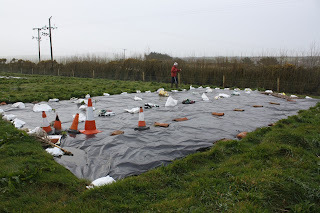 Gift-wrapping the market garden field. 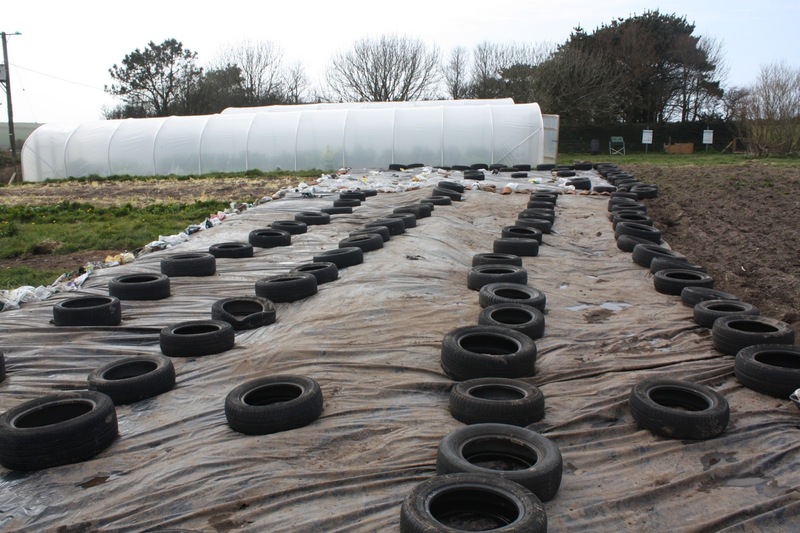 In the market garden we have been combating weeds, mainly couch-grass, using thick black plastic held down by old tyres. This proves a very effective way of cleaning the ground without resorting to chemicals or unfeasible amounts of digging and weeding. After 12 months under black plastic we find that even the thick spaghetti of couch roots has rotted away to nothing. We are now removing the plastic from the vegetable strips in order to prepare them for this years (delayed) growing season. 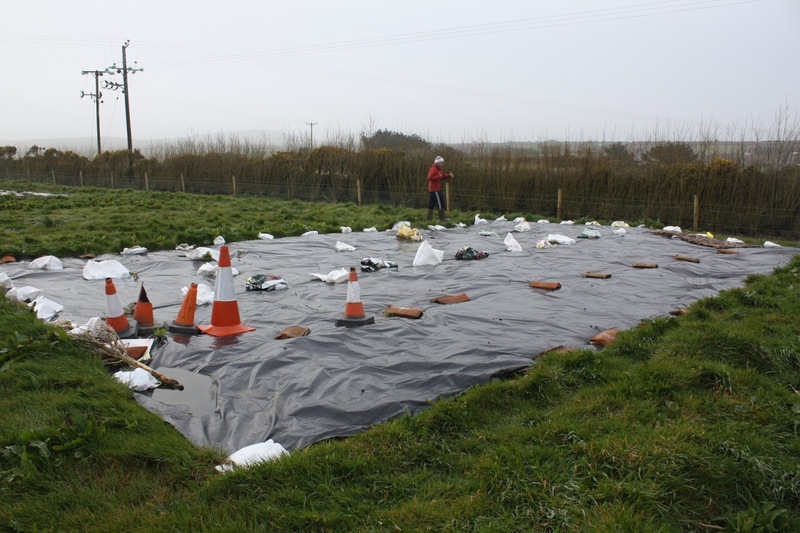 The plastic is being moved onto the 4m-wide grass strips that split the field into four and act as reservoirs of couch-grass and slugs and other weeds. This time next year we hope to uncover and prepare them too, and have one big field of veg. The same patch, having been covered since August (18 months), with most weeds gone, but dock and dandelion still shooting albeit tender blanched growth. The grass strip between veg strips C and D now covered with plastic to eradicate weeds and convert it to veg beds. Another section uncovered after 18 months under plastic, with even the docks and dandelions killed. 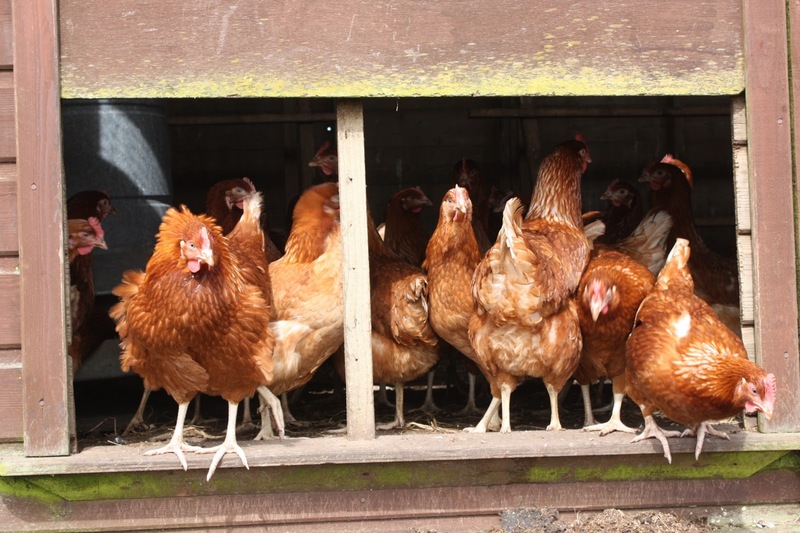 On Thursday 28th March, we became home to 100 point-of-lay Colombian Blacktip laying hens, bred near Launceston, and now housed in shed 2 on our new chicken field. Most started laying straight away, some even on arrival, but some have not started yet. We are getting about 60 eggs per day, of a smaller size than our older hens, so we are selling the small "pullet's" eggs at only £1 per half dozen, available on the gate stall and at Pendeen and St. Just Farmers Markets. Most of the hens are now venturing out during the day, though it took a few days for the first brave bird to jump out for a minute. Most are also perching at night, though this is something we have had to patiently teach them by lifting them onto their perches every evening - at first 93 out of 100 needing lifting onto their perches every evening, now it's only about 15. 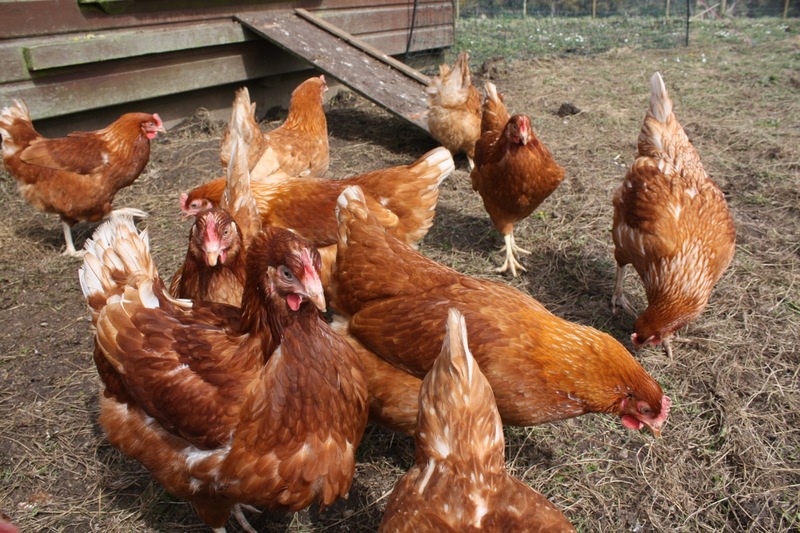 Our other hens are laying very well, and their larger eggs cost £1.50 per half dozen on the farm gate and at farmers markets, they can also be included in our weekly veg boxes. 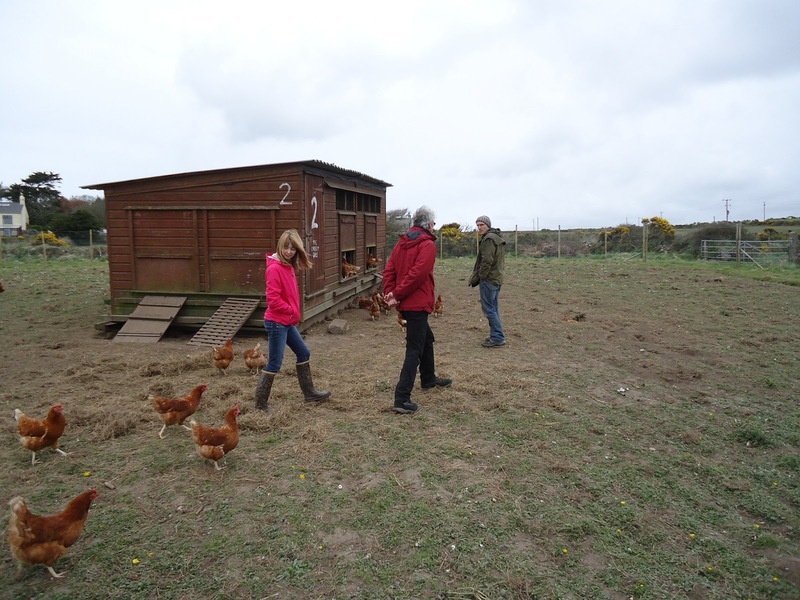 Many thanks to Yvonne, who wwoofed here on the farm for two weeks, and left on Wednesday to her new wwoof host.